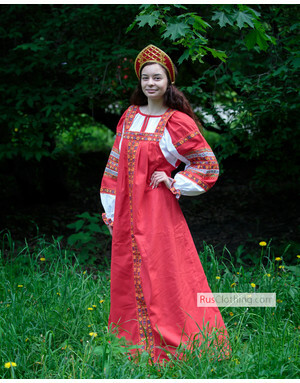 You have a great chance to buy an authentic Russian kokoshnik. 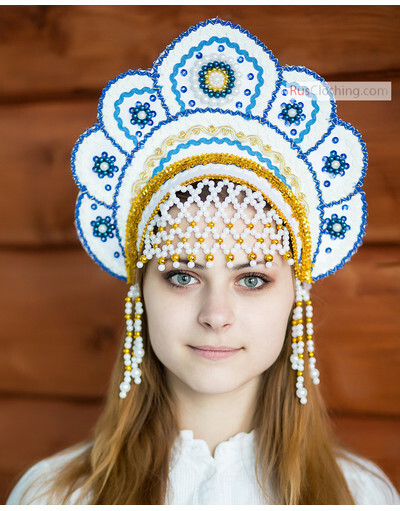 Kokohnik russeis traditional Russian headwear that decorated lovely women’s heads and accompanied the sarafan. Today the word ‘’kokoshnik’’ embraces a great variety of traditional Russian headdresses. Young unmarried women wore Kokohnik russewith open back; married ladies were supposed to cover the head and not to show any hair. 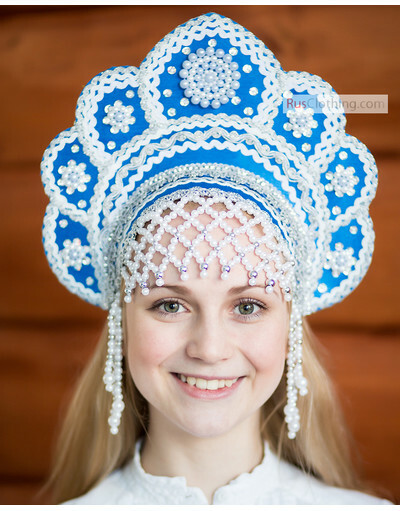 Kokohnik russein our days serves more as decoration, a great accessory to the Russian costume or any stage performance. 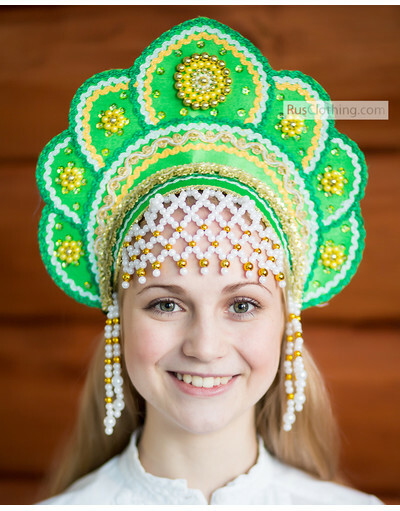 We do our best to embroider and decorate our Russian headdresses in the most skillful way. Every Kokohnik russehas elastic band, thanks to it the hat sits well on any head. 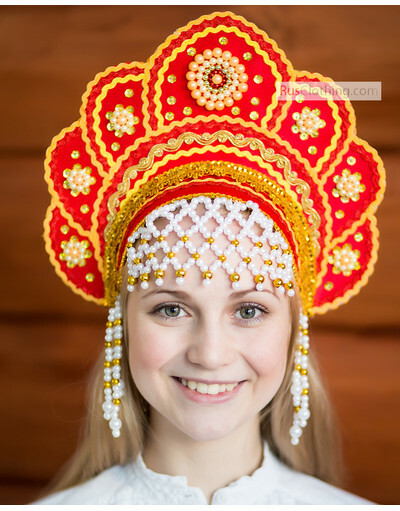 Please, allow 3-5 days for production, as every Kokohnik russeindividually made. 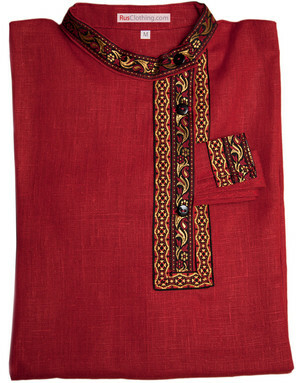 The package is secure to keep the form and decoration safe. 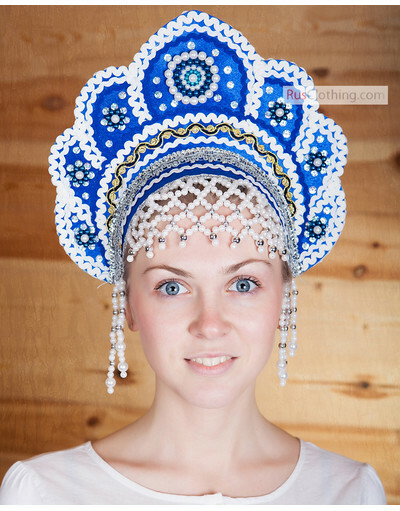 Perfect kokoshnik tiara! Just like the photo! 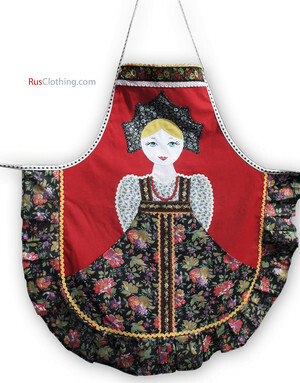 Will look great in our Nutcracker production.